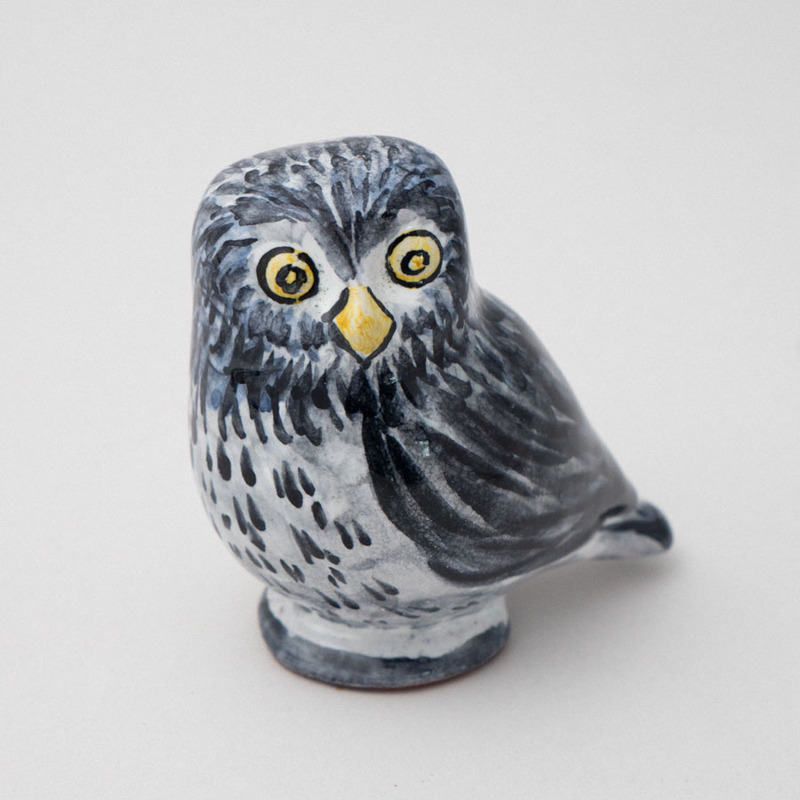 Little Owl by Juliet Swift. 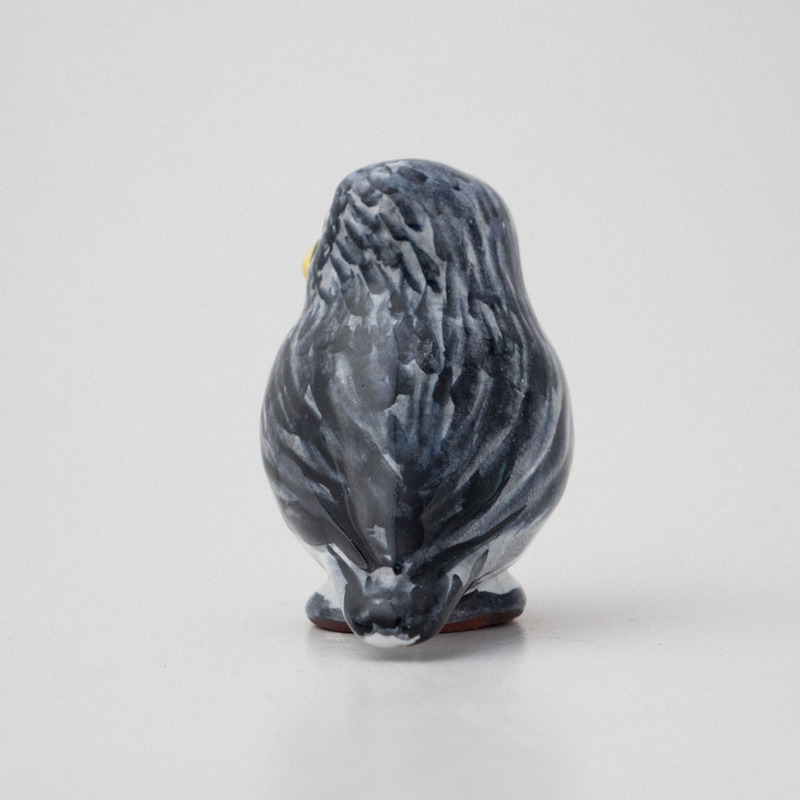 This small figurine of an adorable little owl is cast in a very limited number from a sculpture by Juliet Swift. 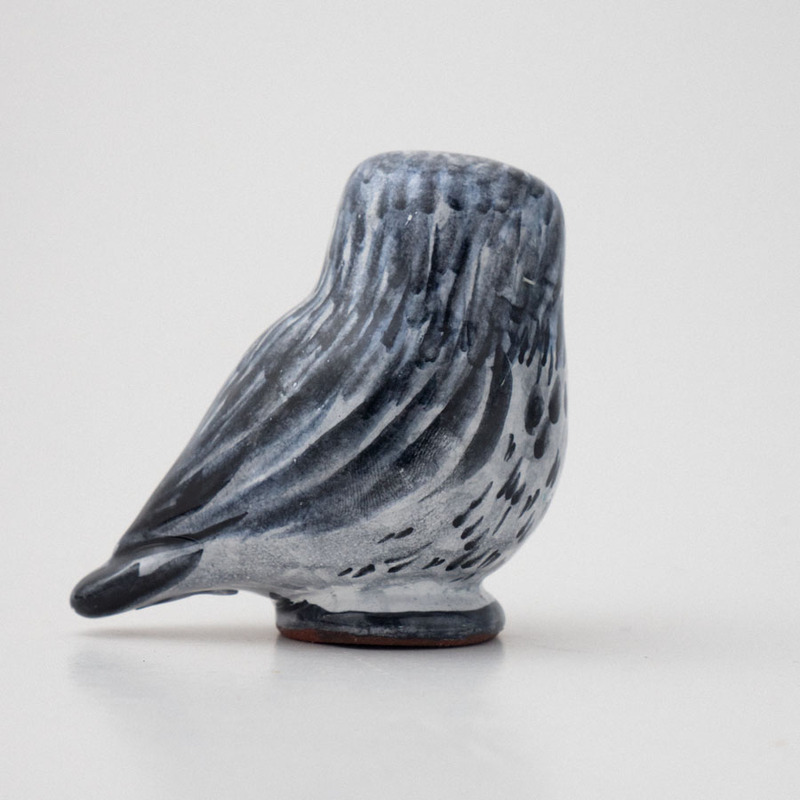 The form of the bird is wonderfully tactile, and with its smooth shiny finish, it rests quietly in the palm of the hand. 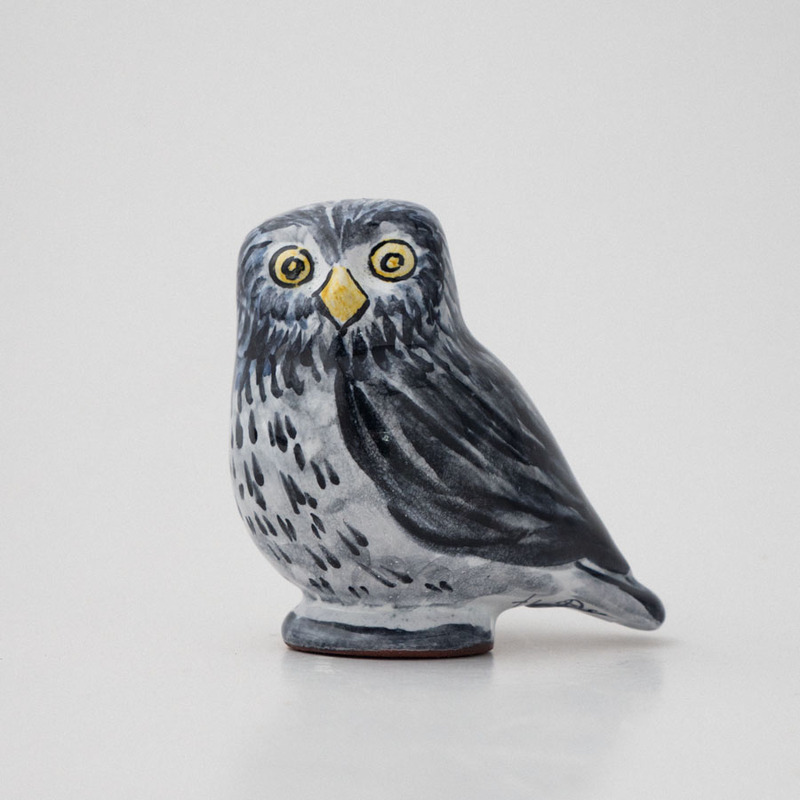 As well as being the symbol of the Goddess Athene, the Little Owl, or Mocho Galega in Portuguese, is a familiar bird in the Algarve and can often be observed on telephone wires at dusk or nestled into the roof tiles of old buildings during the day. 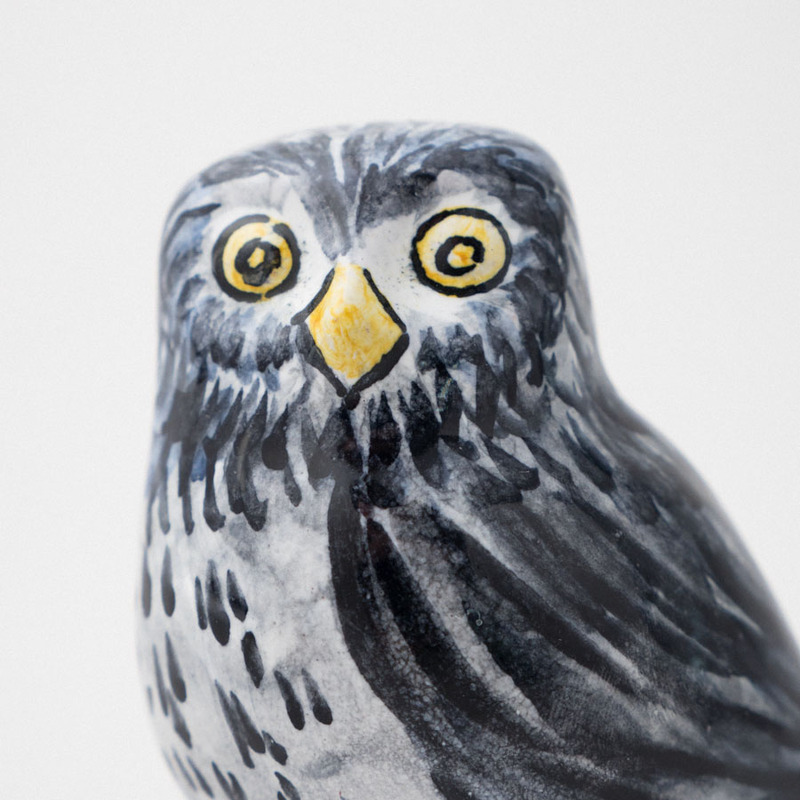 The decoration in this instance is also by Juliet Swift, and the little owl has a grey plumage and bright yellow eyes. 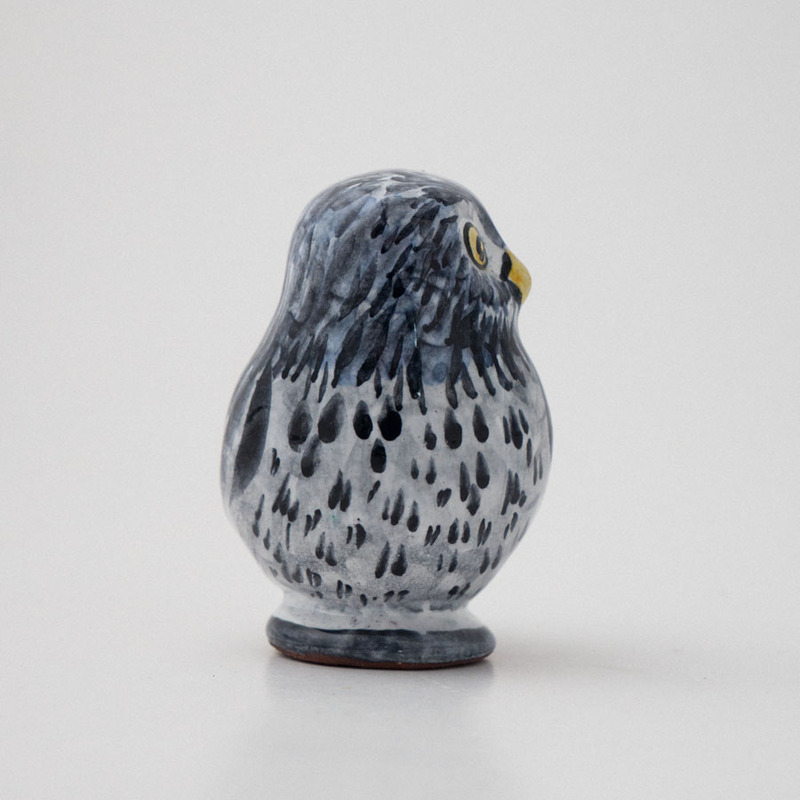 Long time collectors and visitors to Porches Pottery might note that this tiny little fellow marks a return to making animal figurines at Porches Pottery.